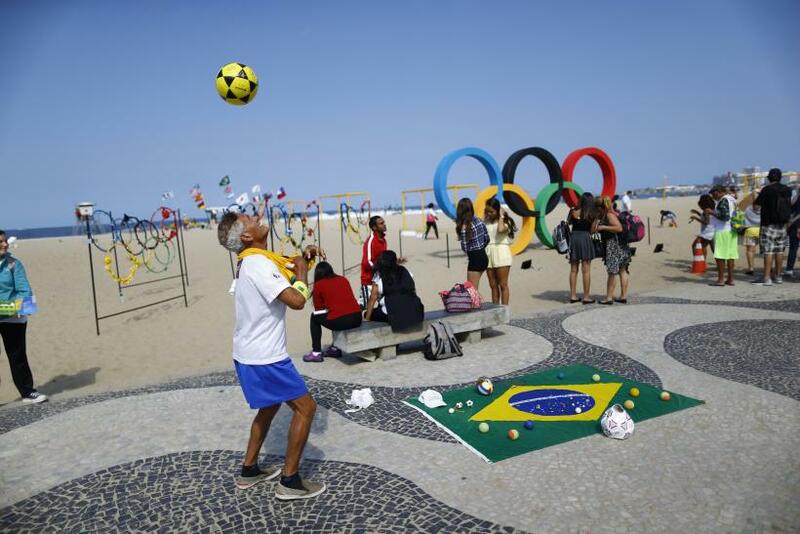 The world's best athletes will converge in Brazil this week for the 2016 Rio Olympics. The games officially begin Friday and are scheduled through Aug. 21. This year's event is full of controversy. Dozens of Russian athletes have been banned from the Olympics, including the entire track and field team, over doping allegations. Many athletes have also opted to stay home because of Zika, a virus spreading across Brazil and other Latin American nations that is suspected of causing birth defects. The athletes to watch include Simone Biles in gymnastics, Serena Williams in tennis, Katie Ledecky in swimming, Usain Bolt in track and field and hometown hero Neymar, who will be representing Brazil in men's soccer. Below are 7 inspirational and motivational quotes to get you in a gold medal mood. 1. "Don't put a limit on anything. The more you dream, the further you get," swimmer Michael Phelps told the U.K.'s Daily Mail. 2. "Hard days are the best because that's when champions are made," women's gymnastics champ Gabby Douglas told NBC. 3. "Whether we had finished on top or not, the thing that I'm proud of is sticking together," Olympic beach volleyball star Misty May-Treanor told CNN. 5. "You were born to be a player. You were meant to be here. This moment is yours,” said coach Herb Brooks told the 1980 U.S.A. men's ice hockey team. 6. "The key is not the will to win. Everybody has that. It is the will to prepare to win that is important," said coach Bobby Knight of the 1984 U.S.A. men's basketball team. 7. "You have to do something in your life that is honorable and not cowardly if you are to live in peace with yourself," said coach Larry Brown of the 2004 U.S.A. men's basketball team.